How do you block fat in your diet preventing obesity? One method is known as the turmeric diet. 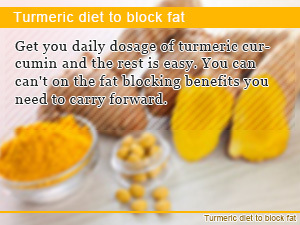 With curcumin found in turmeric you can start blocking fat right away! The turmeric diet gives you the benefits of curcumin to help you block fat while you walk down the journey to slim adding essential nutrition and balance to your diet. Not to be confused with single article diets that ask too much from you in dieting, this method gives you what you need to lose belly fat and keep it off. What are the health benefits of turmeric curcumin? Turmeric or Ukon in Japanese may seem like an innocent spice that you are used to hear mentioned in discussion about how to make curry is in fact packed full of benefits such as allowing you to block fat in your diet prevention unwanted storage of fat perfect for times when you are trying to lose weight. In addition to being a diet friendly food, turmeric is featured in one of the Japanese hangover cures Ukon no Chikara that makes a great complement to any anti-hangover drunk diet. 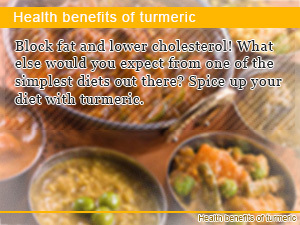 Just by getting turmeric in your daily meals you can satisfy your curcumin dosage for enhance health benefits. That's the turmeric diet! In this diet Slism, we introduce the turmeric diet to start blocking fat in your diet and lower cholesterol giving you a more outgoing lifelong health perspective. What is the turmeric diet? What is turmeric? - It just happens to be a spice commonly used in curry but that's not all. In addition to being an essential spice for cooking, it may help you get slim. When you here turmeric what comes to mind may be drinks or turmeric curcumin diet supplements. However, turmeric is commonly used in making curry. The turmeric diet is where you take turmeric directly. Although using turmeric in your daily cooking is one way to spice up your life getting the turmeric curcumin you need to start seeing results right away, other sources of turmeric found in turmeric tea and supplements is always an option. For people who have difficulty taking turmeric directly, supplements may seem like the best way to go. As a safe rule of thumb the daily dosage of turmeric you should be getting is between 2 and 3 grams per day. When taking turmeric supplements try to remain within this amount taking into consideration the turmeric you are getting from other sources such as your food. Although zedoary is rare in the west and almost always replaced by garlic in cooking, among the 50 different types of turmeric grown throughout Japan turmeric can be classified into those grown during the spring and those grown during the fall. Depending on the type of turmeric, the curcumin content may vary. In order to find the turmeric with the highest curcumin content it becomes necessary to take step back looking at spices used in making curry. In fact, zedoary a spice used to make curry is up to 10 times more potent in curcumin than spring turmeric. For the best results in your diet from taking turmeric zedoary is highly recommended. Curcumin in turmeric helps your body block fat while improving liver function that means better detox and ability to get over a hangover. Besides being an anti-hangover remedy, turmeric health benefits never stop to amaze when you are gearing up for a successful diet. Turmeric curcumin has an effect on your body inhibiting the cell division of fat cells. How turmeric helps you block fat is that curcumin inhibits the formation of fatty tissue by blocking the mechanim used to form it. It does this by supressing your blood vessels used to form fat tissue. The consensus regarding fat is that the amount you have is determined during infancy. Recently, more and more people have realize the reality of putting on fat. Fat cells break up and increase rapidly before you know it. The combination of fat cells growing and increasing makes you fat, not consumption of fatty foods alone. Curcumin helps slow down the division of fat cells in your body making it harder to gain weight, putting on unwanted pounds of fat. 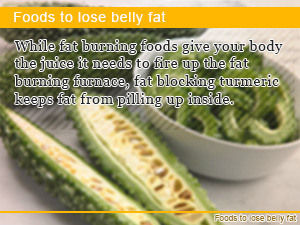 Here are some other fat burning foods that are advantageous to know when trying to reduce body fat. Turmeric increases the excretion of bile in your body. Bile found in your gall bladder is produced by cholesterol in your bloodstream. By increasing the excretion of bile, the amount of cholesterol used by your body increases, which results in a reduction of cholesterol in your body. No diet is perfect and neither is the turmeric diet. Although the necessary precautions that one must make differs across the board person to person, you can never be safe enough. All it takes to checking whether the turmeric diet is right for you is a regular check-in with your local physician. The rest is staying inside the recommended dosage amount. For people with liver problems, too much turmeric in your diet can place potential burden on your liver. That is why before trying out the turmeric diet, you should consult with a physician beforehand. Potential side effects of turmeric include allergic reactions, bile duct damage, and liver damage. Q: Can the right amount of turmeric in your diet help you get rid of belly fat? Turmeric and belly fat go hand in hand while you are dieting. Along with other healthy eating practices such as not skipping breakfast and chewing your food more, consumption of just the right amount of turmeric can slow down the increase of belly fat. Combined with regular exercise, turmeric can help you lose belly fat. For best results, take 2-3 grams of turmeric a day at max. Avoid overdosing as it takes a toll on your liver. Keep this in mind when taking supplements containing turmeric curcumin. Get you daily dosage of turmeric curcumin and the rest is easy. You can can't on the fat blocking benefits you need to carry forward. Block fat and lower cholesterol! What else would you expect from one of the simplest diets out there? Spice up your diet with turmeric. While fat burning foods give your body the juice it needs to fire up the fat burning furnace, fat blocking turmeric keeps fat from pilling up inside.